Dutch Ovens are totally worth the price. They'll last forever and have basically been used in slow cooking since the 17th century. You can use it on the stove top to sear meats, make stews or anything else, and then put it in the over to bake or roast. It can handle the high temperature of any cooking oven. 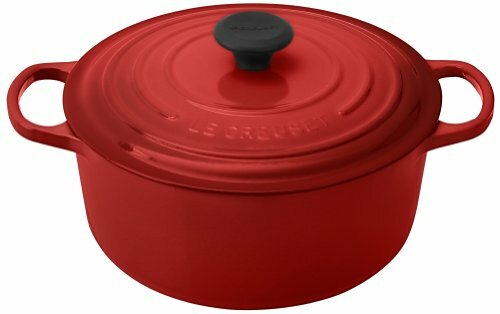 The Le Creuset brand is the top of the line. Let food writer Michael Ruhlman demonstrate. This is a wonderful product. No kitchen should be without one. Since the price of beef has gone up so high I look for meals which incorporate beef but does not break the budget. I make a lot of stews and soups in the winter, this pot makes it easy and clean up is a breeze.